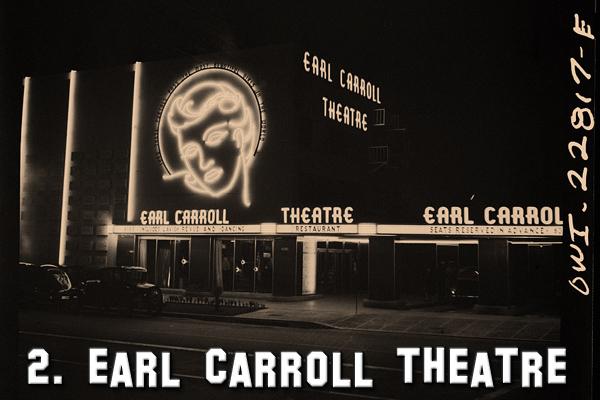 During the Golden Age of Hollywood, stars like Clark Gable, Spencer Tracy and Cary Grant lit up the marquees at theaters across the country, becoming household names while generating millions of dollars for studios such as RKO, Warner Brothers, Paramount, Columbia, MGM and Universal. But where did all of these movie icons go to eat after the film stopped rolling and the spotlights were shut off? 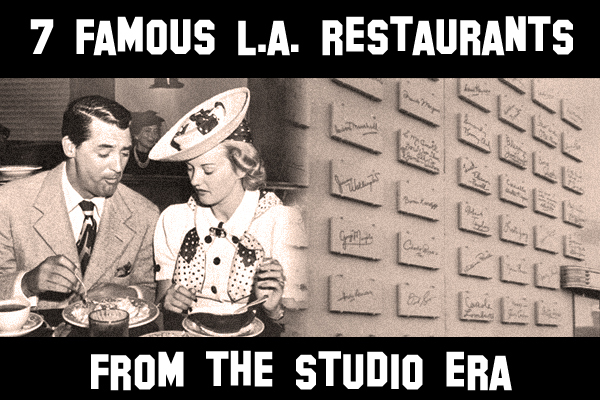 In the city of Los Angeles, there certainly was no shortage of first-class restaurants that catered to stars of the studio era. 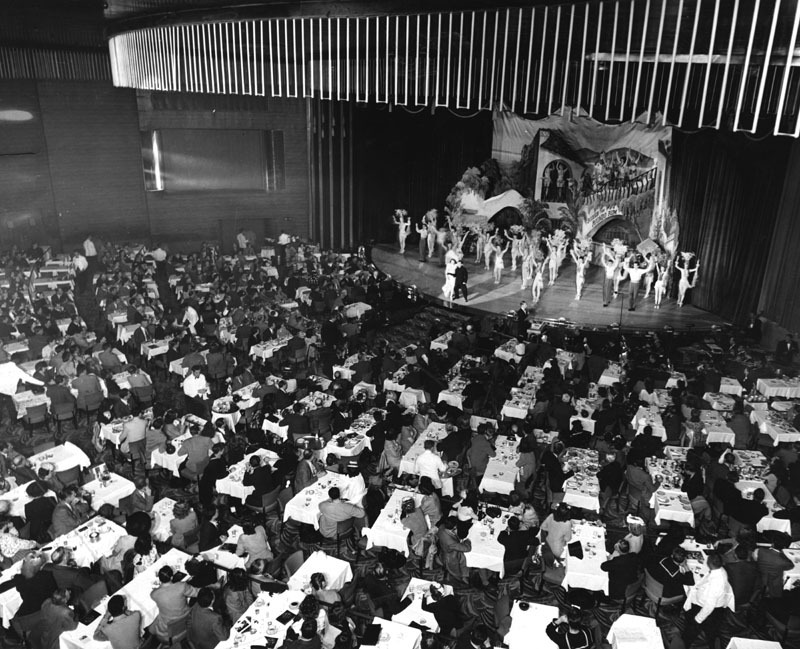 And below are seven examples that will take you back in time to an of era of continental-style fine dining, supper clubs and curved leather booths. Enjoy! 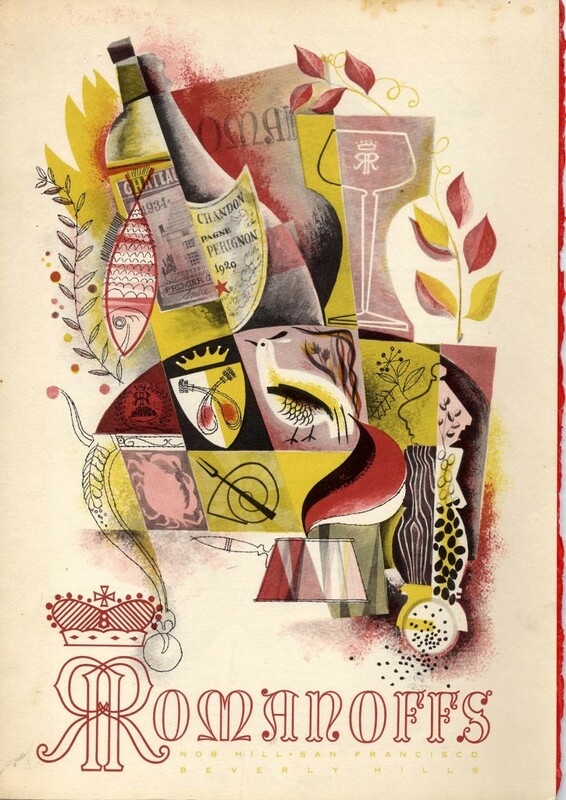 Special thanks to the Los Angeles Public Library for providing most of the images for this posting. Instantly recognizable for its signature derby hat logo and the accompanying motto “Eat in the Hat,” this chain became synonymous with Hollywood’s Golden Age. 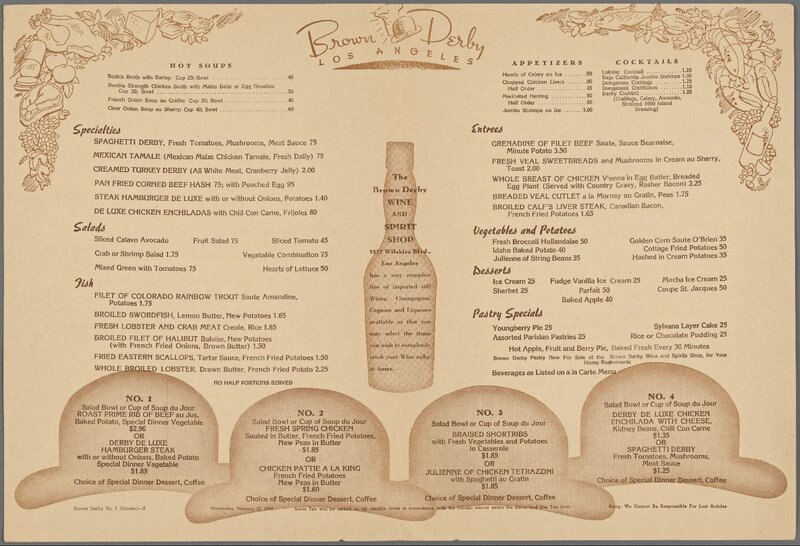 With the first location opening its doors in 1926, the most famous of the Brown Derby restaurants became the one on Vine Street where its walls were covered in framed 8 by 10 inch caricatures of various celebrities. 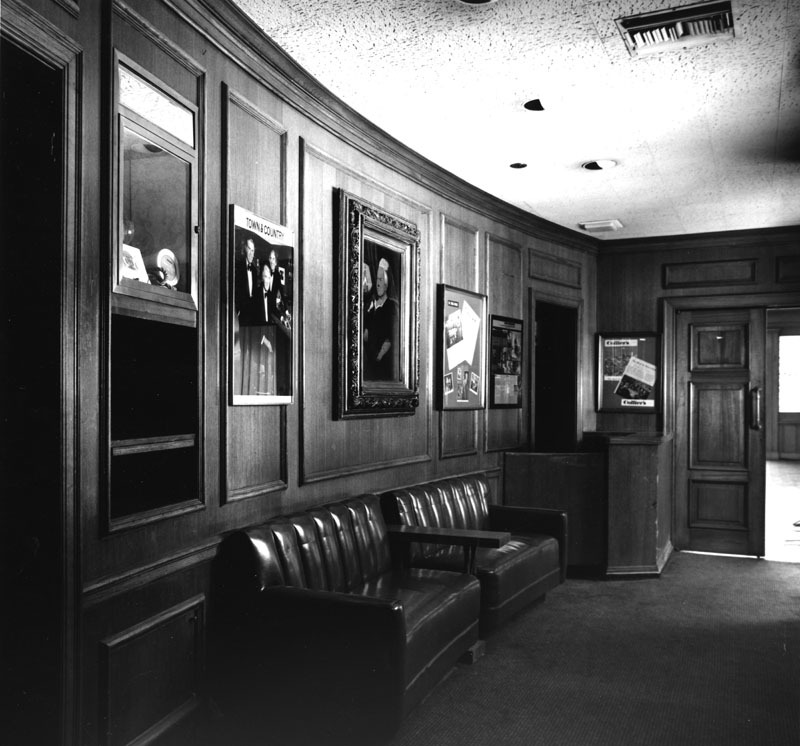 Studio moguls Harry Cohn and Jack Warner both had permanent reserved seats for years while booth #54 became the spot where Clark Gable proposed to Carole Lombard. 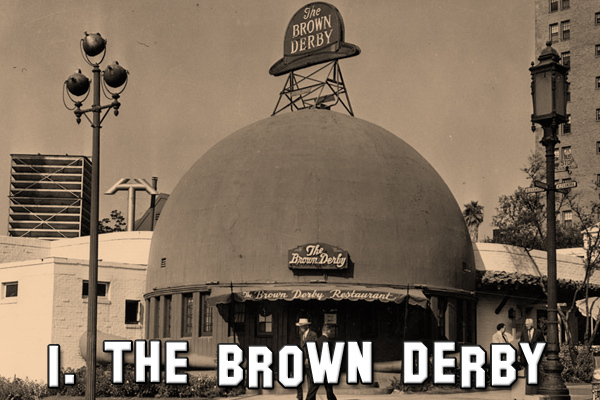 Back then, if you ever wanted to see a celebrity in the flesh, the Brown Derby was the place to go. 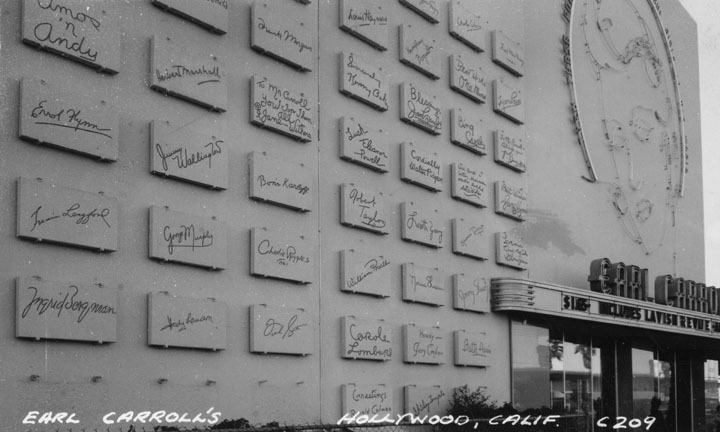 Driving down Sunset Boulevard in 1938, there was no way you could miss seeing a 24-foot neon sign of Beryl Wallace at the famous Earl Carroll Theatre where the slogan was “Thru These Portals Pass The Most Beautiful Girls In The World.” A 1,000-seat supper club-theater, numerous stars that included Tyrone Power, Errol Flyn and Betty Grable lined up to see a lavish show that featured beautiful chorus girls singing on a 60-foot-wide double revolving stage and staircase built at a cost of approximately $500,000 ($8 million in today’s dollars). 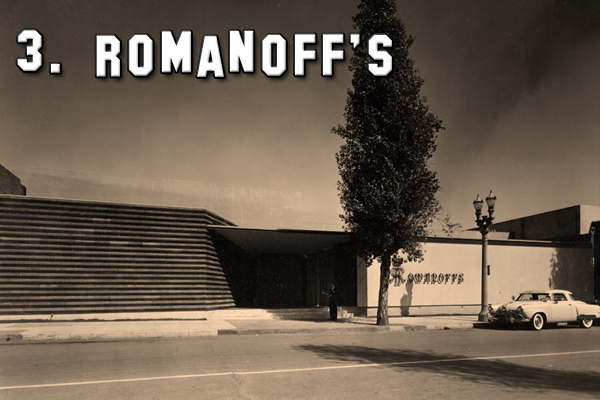 On Rodeo Drive in Beverly Hills, flamboyant restaurateur Harry Gerguson assumed the identity of “Prince” Michael Romanoff, heir to Czarist Russian royalty during the time he owned Romanoff’s, one of the most posh places to eat for A-list celebrities. In a town where everyone pretends to be somebody they’re not, its almost fitting that this restaurant, with its swank floor plan and larger than life owner, would explode in popularity. Over the years, hundreds of famous people would dine here, including a young aspiring chef named Julia Child who loved one of the restaurant’s signatures dishes – strawberries Romanoff! 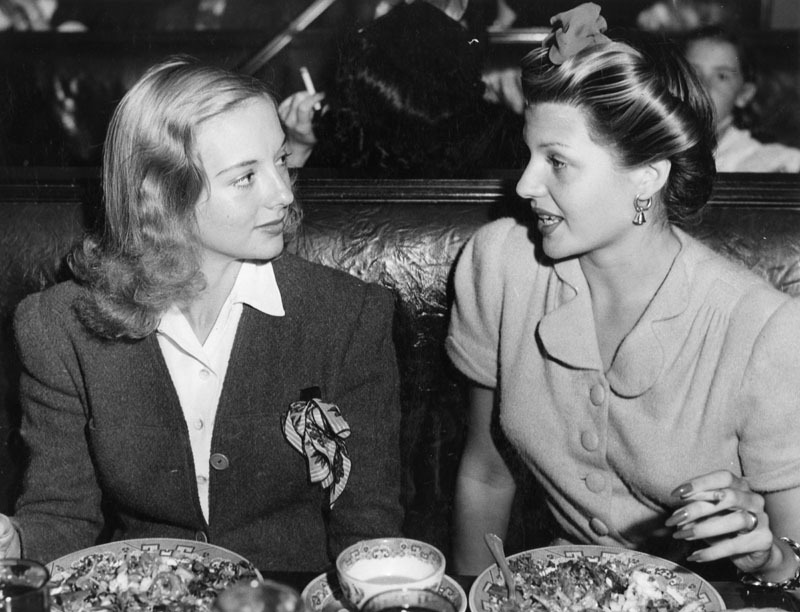 (Left) Interior dining area (Center) Actress Barbara Stanwyck at Romanoff’s. 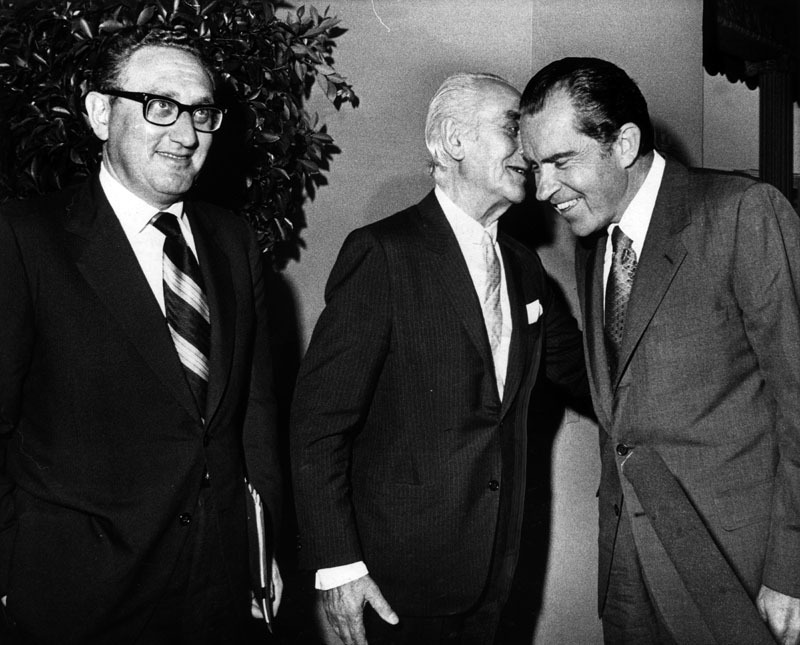 During the darkest days of the Great Depression, an immigrant from Northern Italy named Alexander Perino opened a fine-dining restaurant that ended up catering not only to celebrities but future Presidents Richard Nixon and Ronald Reagan. 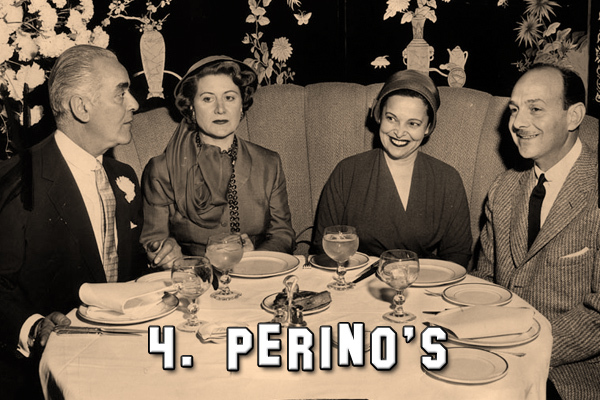 Serving such renown dishes as veal scallopini, crepes suzette and strawberry Italienne, Perino’s would also earn a reputation as a mafia hangout, something its owner may have fostered by allowing mobster scenes for Hollywood movies to be filmed inside his restaurant. (Left) Owner Alexander Perino on the phone. 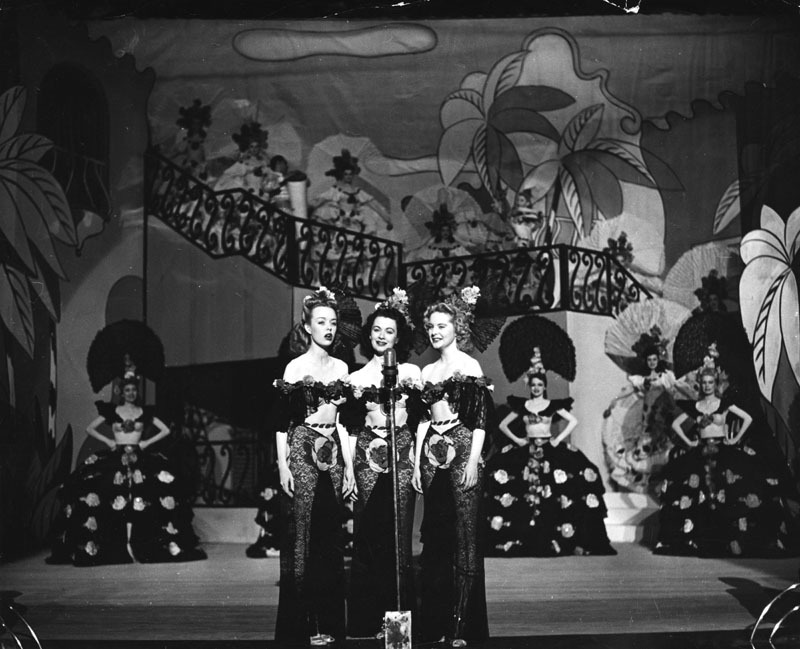 (Center) Fashion show and luncheon at Perino’s. 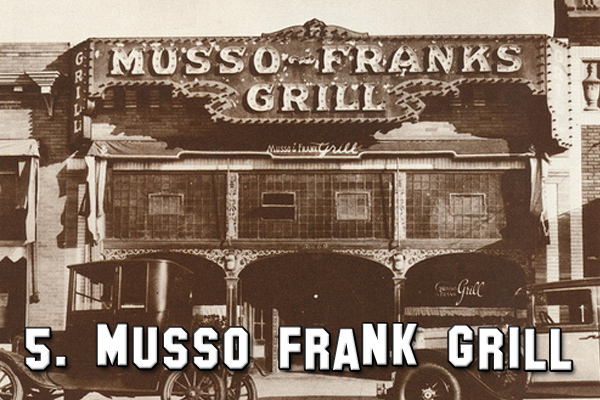 While many eateries have come and gone in the city of Los Angeles, Musso & Frank Grill has had the distinction for many years of being Hollywood’s oldest restaurant. 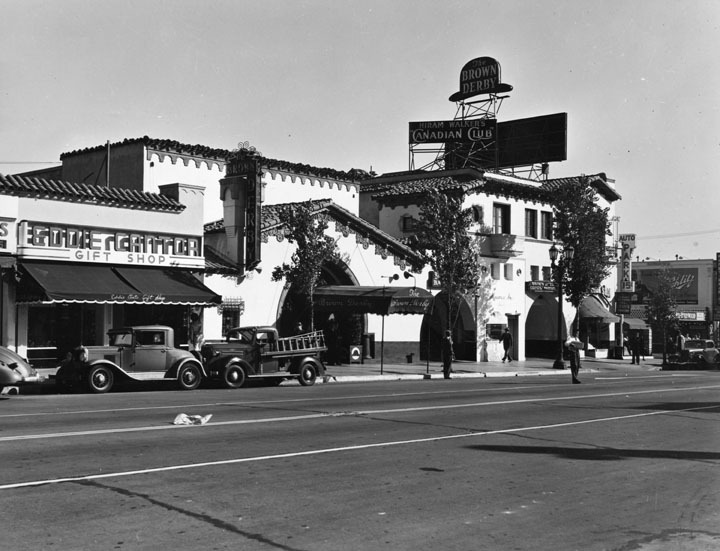 Originally founded in 1919, it eventually became the epicenter for writers in Tinseltown, being conveniently located next to the office building for the Writers Guild of America for many years. 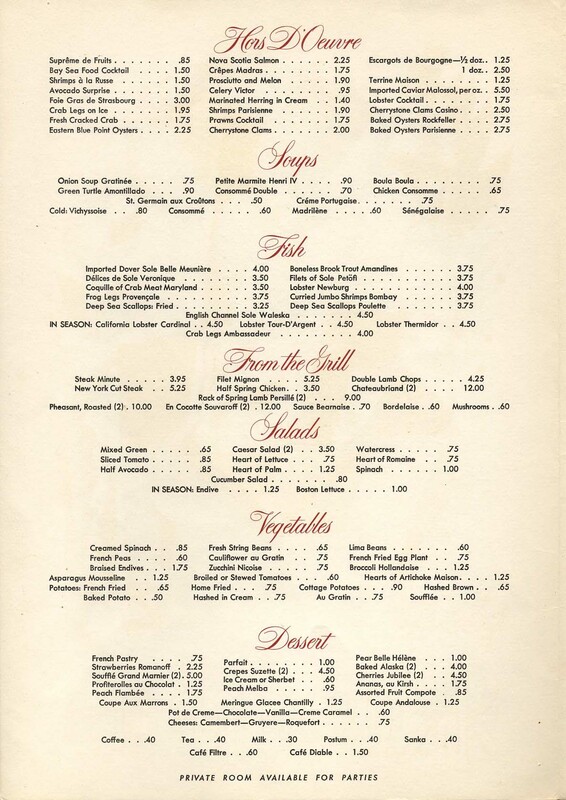 With its world-famous food and martinis, diners have included William Faulkner, Ernest Hemmingway, F. Scott Fitzgerald and Charlie Chaplin who lunched there daily. 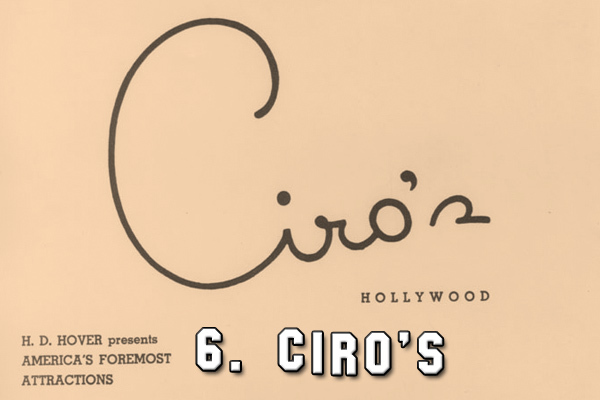 Located on the Sunset Strip, Ciro’s was the most popular restaurant/club for many years as the nightlife in Los Angeles exploded. 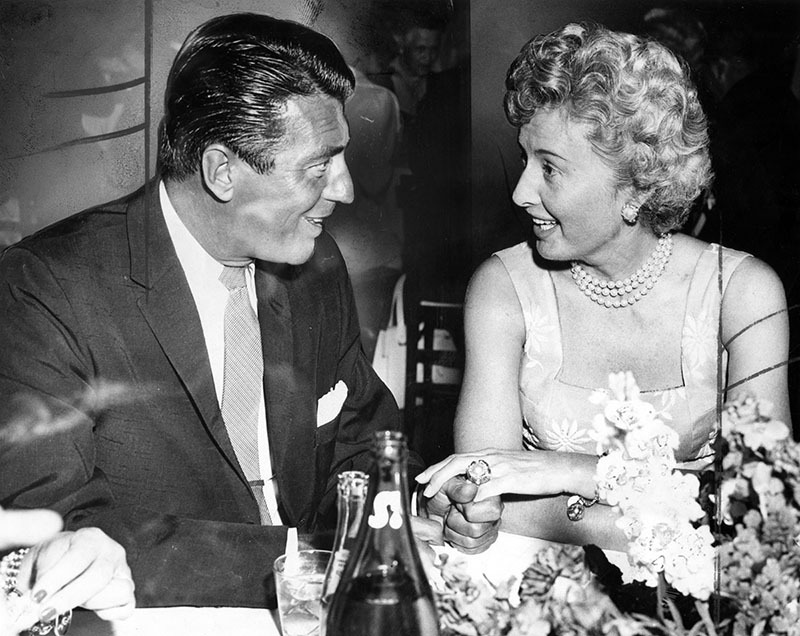 “The legend is that after a big premiere, a star’s social position for the year is determined by his table at Ciro’s” boasted its owner Herman Hover. 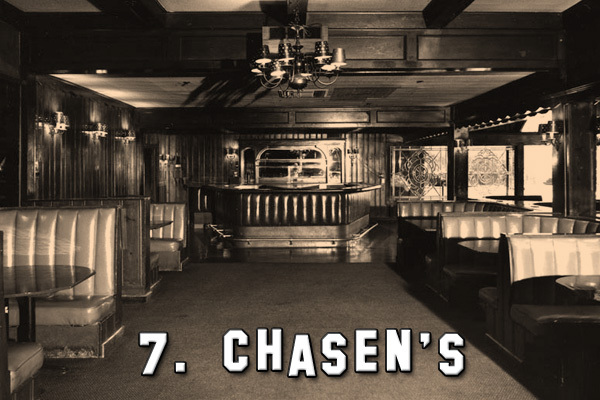 With chic silk walls and a red ceiling, legend has it that this hotspot played a key role in the courtship of Ava Gardner and Howard Duff as well as Rita Hayworth and Aly Khan. 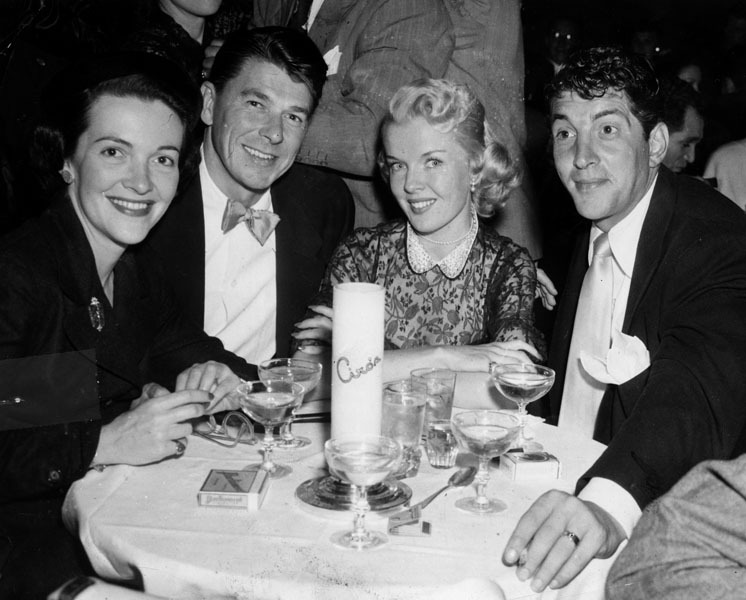 (Left) Ronald Reagan and Dean Martin dining at Ciro’s. 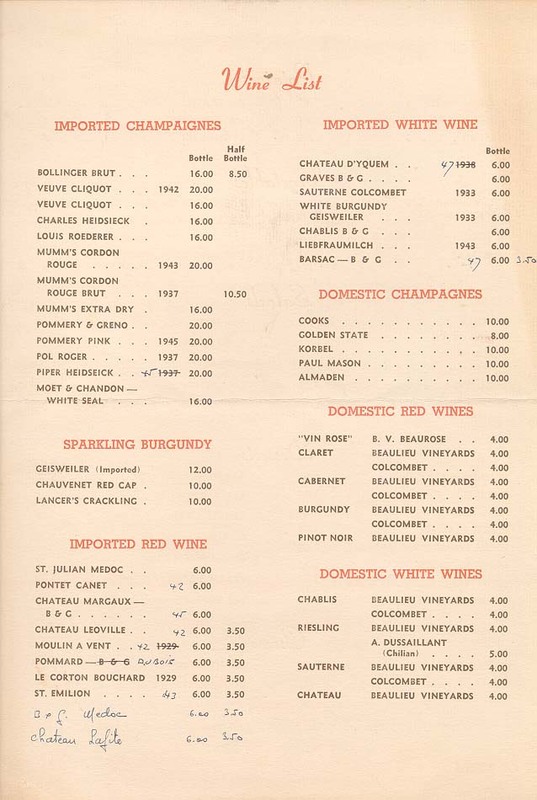 (Center & Right) Menu and Wine List. 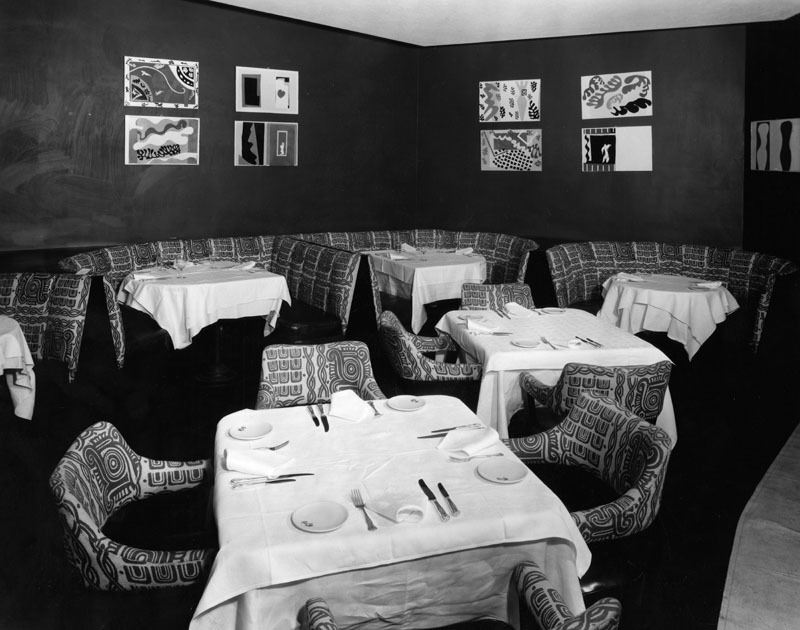 For almost sixty years, this legendary West Hollywood restaurant entertained many distinguished guests with its great food and elegant ambiance. 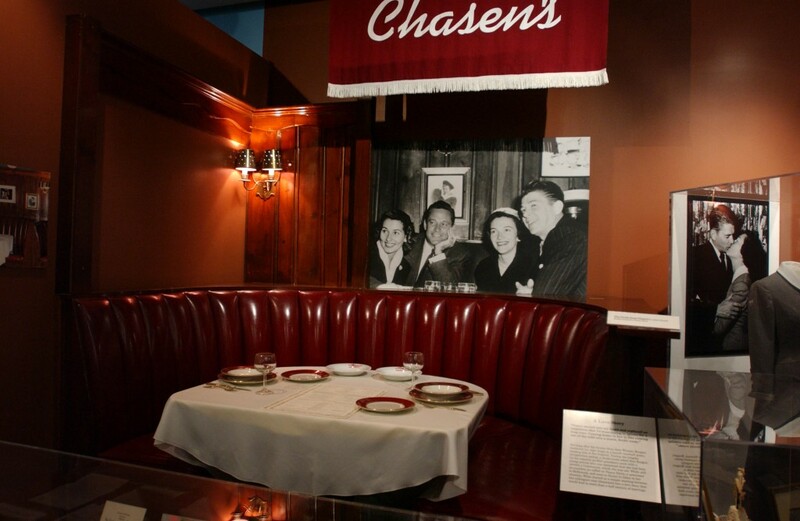 Future President Ronald Reagan would propose to Nancy Davis at a booth that is now on display at his presidential library in Simi Valley. 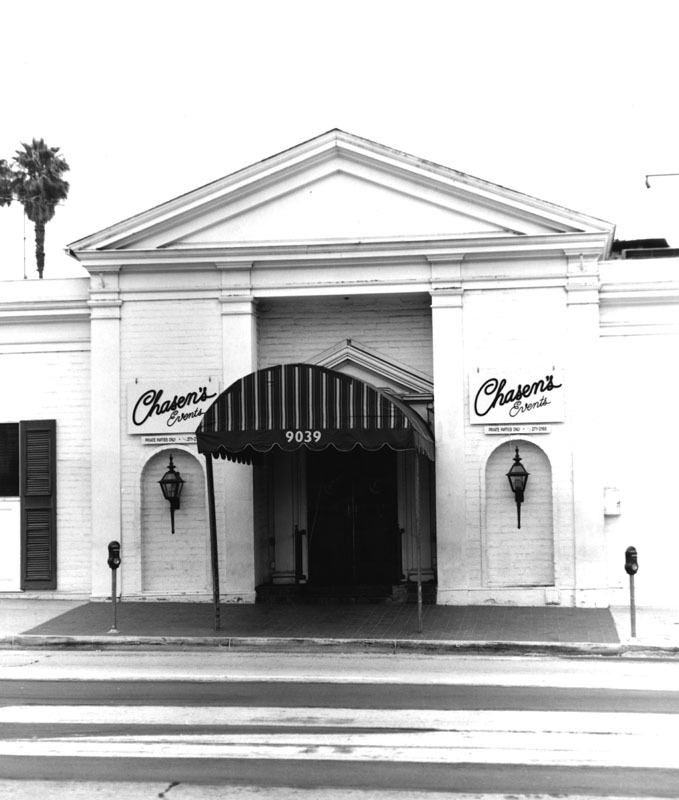 Elizabeth Taylor loved Chasen’s world-famous chili so much that she had buckets of it flown in to Rome where she was filming Cleopatra. 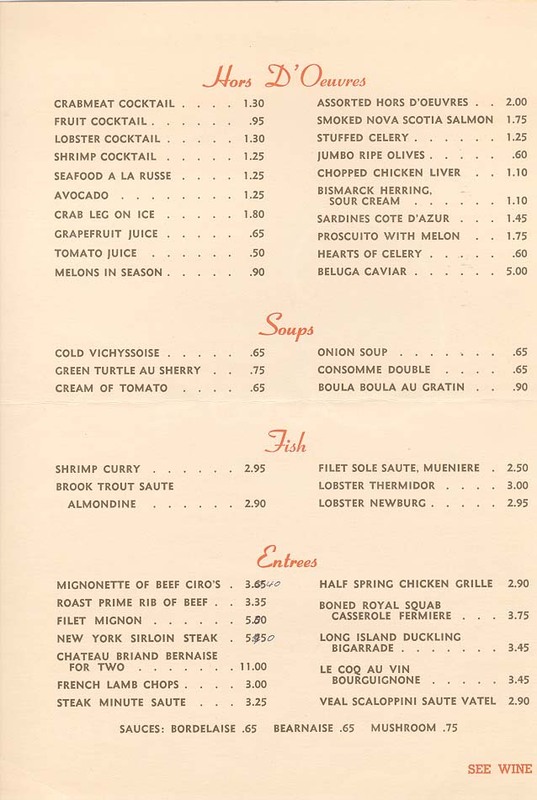 And it was here where director Alfred Hitchcock learned about American cuisine and cocktails at his signature booth. With branches in Los Angeles, Laguna Beach, Chula Vista, La Jolla & Pasadena, the International Wine & Food Society has a strong presence across Southern California. 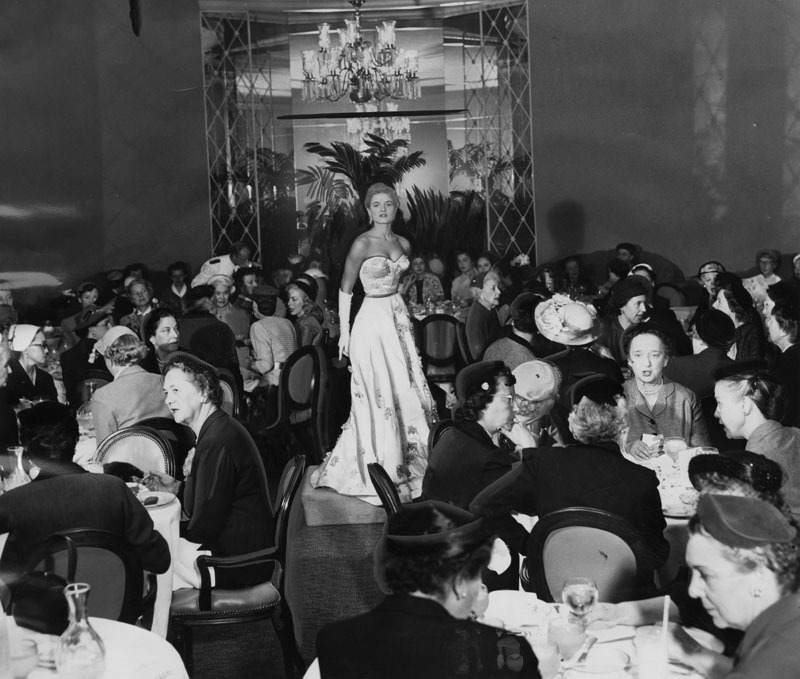 Did you ever dine at one of these L.A. restaurants?